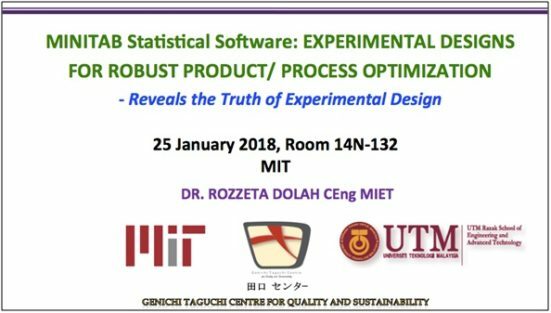 On 25 January 2018, Dr. Rozetta Dolah has delivered a technical short course for MIT and Harvard affiliates, universities and industrialist. 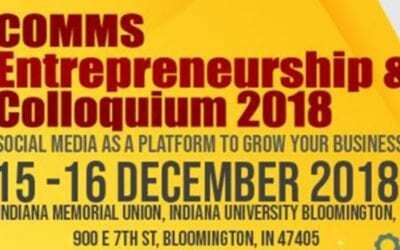 This is part of the IAP 2018 (Independent Activities Period) event organized by MIT annually every January of the year. For over four decades, IAP has provided members of the MIT community with a unique opportunity to participate in a wide variety of activities, including how-to sessions, forums, athletic endeavors, lecture series, films, tours, recitals and contests. 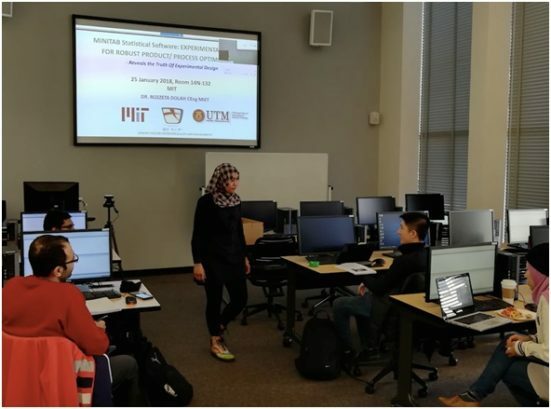 Having the experience working with Universiti Teknologi Malaysia (UTM) and industry prior to academic field, Dr. Rozzeta took this IAP 2018 opportunity to contribute her expertise to MIT. 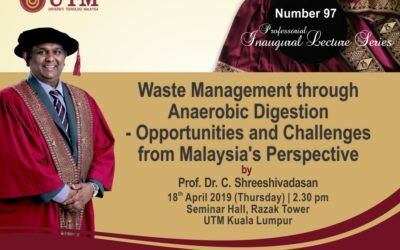 Besides, she introduced UTM and UTM Razak School to these MIT participants and exposed UTM as a premiere engineering university and its achievement. How far I can stretch my parameter setting for optimum results? Which region should be explored and which should not? How should I start the experiment and get it RIGHT at the first time? From participants’ responses, they concluded that this is a very good tool for researchers, engineers, and industrialists. At present MIT does not employ this tool but from the good feedback from the attendees, it is expected that MIT will soon acquire some copies of MINITABS license for the use of its staff and students. UTM has contributed to MIT continued excellence and leadership in R&D by introducing this important tool to its staff and students. MINITAB is a powerful statistical software for comprehensive data analysis. It provides a simple, effective way to input statistical data, identify trends and patterns, and extrapolate answers to the problem at hand. MINITAB is vital to investigate the underlying cause of a problem and expedite the problem solving process. This software option uses a series of elements to help Six Sigma professionals work with data and optimization process, thus further enhance your ability in optimizing your process response. It’s an essential tool in process improvement, making it essential to any Six Sigma program. 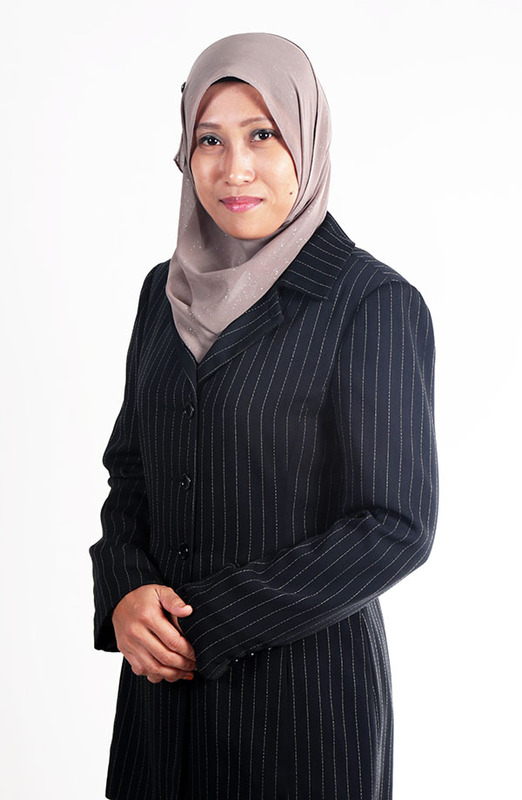 Dr. Rozzeta Dolah CEng MIET is a post doctoral fellow at MIT Department of Mechanical Engineering under Microfluidics and Nanofluidics Research laboratory. Her research interest involves renewable energy in biomass conversion into biofuels and nanotechnology using robust quality engineering including Taguchi method optimization. 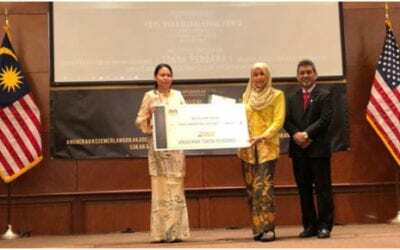 Her experience in response surface methodology for quality engineering was gained under the direct tutelage of the pioneer of Taguchi method, son of the late Dr. Taguchi, world’s renowned quality expert. Prior to being in academic field, she has many years of experience in industry as process engineer, where she involved in various Black Belt Six Sigma projects, and problem solving through defects and variation elimination using MINITAB. As a MINITAB trainer, she involved mainly in process robustness against variation in order to boost yield and production of a system. 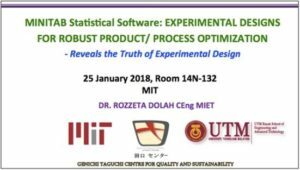 She is a member of Japan’s Quality Engineering Society, she led many quality improvement projects through the implementation of Taguchi Method (Robust Quality Engineering), Design of Experiments (DOE), and Lean Six Sigma.